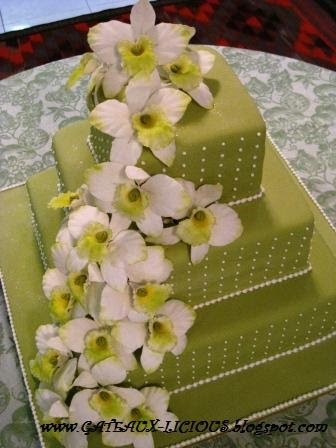 gooseberry green tinted white orchids set against gooseberry fondant lightly dusted with sparkly white dust. hi i really love this one. how much for this design and size, and can you make it in a different colour scheme? and also, how early before the event do i need to book?